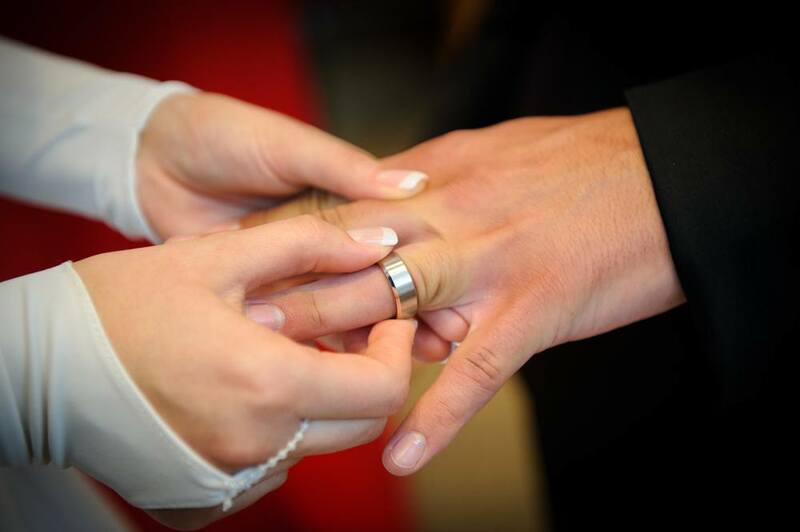 Choosing wedding bands is a fun process that takes place amidst an exciting time in a couple’s life! With so many options out there, it can become difficult to narrow down the choices, particularly in the world of men’s wedding bands. We’re here to fill you in on the option of a beveled men’s wedding ring and why it’s a great option that inspires a classic look for a special groom. What’s a Beveled Men’s Wedding Ring? If you’ve never heard or come across a beveled men’s wedding ring, you’re probably wondering what they even are. These rings are a more elaborate twist on a classic and plain style wedding band. The bevel adds a new dimension to this men’s ring, and it is created by the edges not being completely perpendicular to the main part of the band. 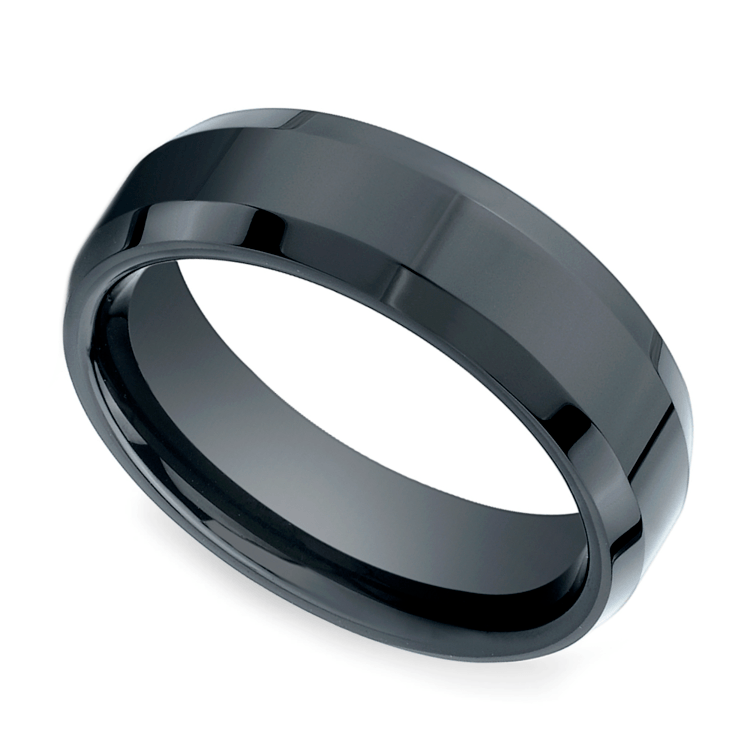 This differs from a standard wedding band, as those typically sport a completely flat profile. The bevel effect means that the band has four sides: the inner surface, the two outer beveled edges, and the flat top surface of the ring itself. The most popular widths of a beveled men’s wedding ring are 4mm, 5mm, or 6mm; although the ring can be ordered in any desired width. Why Go For the Beveled Look? There are several reasons that more and more men are opting for a beveled style band over a more plain ring. First, this look is undoubtedly stylish! For a dude who wants to have a bit of style and flair without going too over the top or opting for something overly edgy, this is a perfect route to take. These bands also have a masculine look and feel, which is the perfect choice for any manly man. Sleek, stylish, and cool, beveled bands are a no-brainer as you pick out your wedding bands to wear and enjoy forever. So, what are these beveled men’s wedding rings typically made out of? While their metal or material can differ depending on a person’s personal preferences, a ceramic beveled ring is an option that is quickly becoming more and more popular. This is for several reasons. First, ceramic is hypoallergenic, meaning the ring won’t cause any irritation, even when it’s worn day after day, even for someone with sensitive skin. Unlike rings made of other materials such as different types of metal, ceramic rings are lightweight. This increases their comfort for anyone who wears them, especially for extended periods of time. Because of their lightweight quality, they’re also less likely to leave marks or indentations on one’s finger. Since these rings are light, you’re probably wondering if they’re simultaneously durable. The answer to that question is yes, they are! Since wedding rings are worn on a day-to-day basis, they need to be able to withstand quite a bit, from being bumped into hard surfaces to water immersion to anything in between. Ceramic rings rise to this challenge, resisting scratches and dents and doing a fabulous job retaining their original shine even after months or even years of wear. As you can see, ceramic rings certainly have their share of advantages! Finding the perfect wedding band can be a challenge, but with so many options out there, every man is bound to find the perfect fit. The classic and stylish look of our beveled men’s wedding rings make them a top choice, and we certainly understand why. Check out our full selection to find your perfect wedding band in preparation for your upcoming wedding.